"We provide Steel Doors throughout Exeter and Plymouth, including internal security doors, which can require sash and triple locks." "Following my visit to your company I discussed with others why we keep going out to tender every time we want doors upgrading and it appears the problem lies with procurement. I have been informed that we have now managed to convince procurement that the products and service you offer is the most cost effective on a like for like basis and so in future we should be using you as the preferred contractor. This is good news for the trust as I feel the standard and service we receive from you is first class, long may the relationship continue." "We have employed Doorcare South West Ltd as our main contractor for all our windows, door and lock repairs and installations for at least five years. They always provide a reliable and excellent quality of service, attending to any emergencies on a 24 hour 7 day basis with nothing being too much trouble. I find their employees polite,competent and helpful whilst working at our hospital demonstrating care and consideration for staff and patients. This team are highly recommended on this basis." 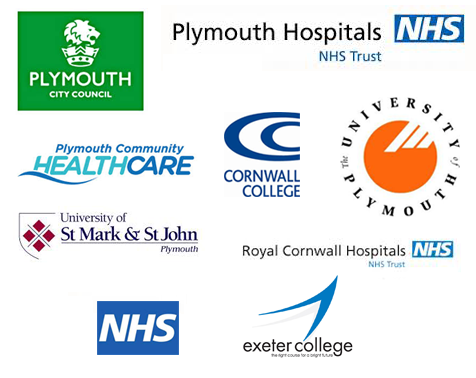 Mr Richard Harris, Derriford Hospital, Plymouth. "Following the successful installation of my Gliderol double garage doors this morning Saturday 22nd March 2014 please accept my sincere thanks for a job well done! I am extremely pleased with the quality (and grey colour) of my new Gliderol doors. I would like to thank the four members of staff (including Co Director!) for all efforts this morning. The engineers who fitted the doors were extremely knowledgeable, professional and provided helpful instructions on the use and maintenance of the door system. I look forward to receiving your invoice!!!" "I was so impressed with the way your company dealt with my telephone enquiry and the speed to which the work was carried out. Not only was the engineer very capable he also had a superb attitude towards his work and to the customers requirements. In addition we would also like you to know that he spoke very well of his company and it was obvious that he took pride in doing a good job and we were delighted to find that the cost of the work was lower than we expected. Please pass on our thanks to the engineer and you can be sure we will pass your name onto our friends and associates." ''This note is to thank you for your prompt and very efficient service in restoring my garage roller door to better than ever operation after the unfortunate incident which had severely damaged the operating mechanism. I would have absolutely no hesitation in recommending your team to everyone - I have been impressed, particularly with the out of hours response and the skills displayed."